eco-friendly and improve their bottom lines. ATLANTA (Aug. 6, 2018) – To adopt eco-friendly practices, reduce the environmental footprint, and at the same time improve the bottom line of its member institutions, the Atlanta University Center Consortium Inc. has received a $500,000 Grants to Green Campus Implementation grant from the Community Foundation for Greater Atlanta. Launched in 2008, Grants to Green gives nonprofits the opportunity to renovate or build healthier work places that are environmentally efficient and provides environmentally focused knowledge and funding to strengthen nonprofits in the Atlanta region. 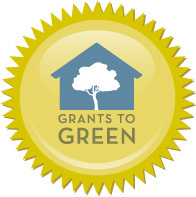 Grants to Green is a partnership initiative between the Community Foundation for Greater Atlanta, a respected grant maker and community leader in metro Atlanta and the Southeastern region, and Southface, an expert in “green” building science, design and construction. The Kendeda Fund, a longtime funder of the Community Foundation, funds the Grants to Green initiative. After receiving assessments of AUC facilities and recommendations for how to improve efficiency, AUCC its member institutions applied for and were awarded the $500,000 Implementation grant for eco-friendly improvements that include upgrading to LED lighting and controls, replacing and retrofitting inefficient plumbing fixtures, receiving sewage abatement credits from evaporation of water returned to the system. With the assistance of Grants to Green, AUCC member institutions will reduce their energy consumption by more than 23 percent collectively. This equates to greenhouse gas emissions from 505 passenger vehicles driven for one year, saving roughly 2,358 metric tons of carbon dioxide, known for its danger to environmental and human health. For more information about the green efforts implemented at AUCC member institutions, please contact Bonita Dukes at Clark Atlanta University; André E. Bertrand at Morehouse; Lawrence Jones at Morehouse School of Medicine; and Don Blackston and Art Frazier at Spelman. For more information about the Grants to Green Initiative, visit www.cfgreateratlanta.org, or email GrantstoGreen@cfgreateratlanta.org. About the Atlanta University Center Consortium Inc. Founded in 1929, the Atlanta University Center Consortium is the world’s oldest association of historically Black colleges and universities. Comprised of four member institutions – Clark Atlanta University, Morehouse College, Morehouse School of Medicine, and Spelman College – the Consortium is a vibrant intellectual community with a long tradition of scholarship, service and community engagement. AUC Consortium Inc. is a nonprofit organization that operates on behalf of its members to advance each institution’s mission and strategic goals by fostering collaboration, managing center wide initiatives, offering services that benefit our students and community, and leveraging our shared resources. Visit us at aucenter.edu/, or on Facebook or Twitter. Since 1951, the Community Foundation for Greater Atlanta has been connecting the passions of philanthropists with the purposes of nonprofits doing that work. With 65 years serving the 23-county Atlanta region and a robust team of experts, the Community Foundation manages the behind-the-scenes details, empowering our donors to focus on the joy of giving. The Community Foundation is a top-20 community foundation nationally with approximately $900 million in current assets and is Georgia’s second largest foundation. Through its quality services and innovative leadership on community issues, the Foundation received more than $113 million from donors in 2015 (unaudited) and distributed more than $139 million that same year to support nonprofits throughout the region and beyond. In 2016 Charity Navigator named the Community Foundation a four-star rated nonprofit, its top distinction. For more information, visit: cfgreateratlanta.org or connect with the Foundation via Facebook, LinkedIn and Twitter.